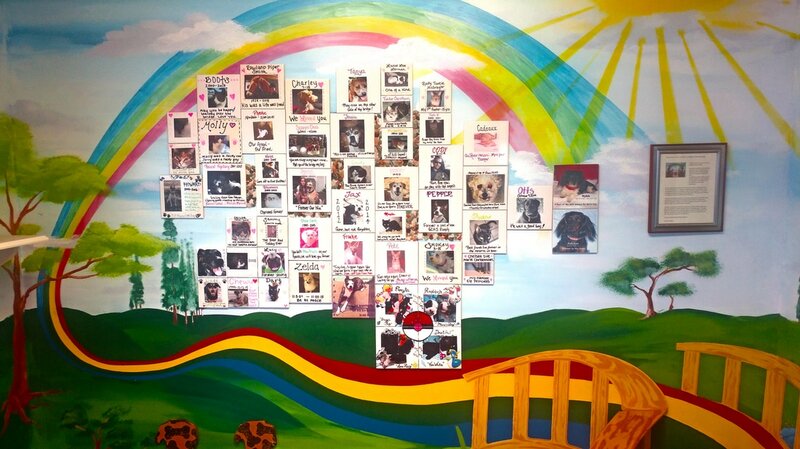 Honor your lost pet with a tile on the Gulf Coast Humane Society's Rainbow Bridge Memorial Wall. Each tile is handmade and donations benefit the shelter pets of the Gulf Coast Humane Society. Simply complete the form and mail it along with a picture of your pet to be added to the Memorial Wall at the Gulf Coast Humane Society. Please note: pictures cannot be returned. Tiles can have up to two lines of text above and two lines below the photo. Up to 25 characters per line. Click here for the Rainbow Bridge form. Enter your e-mail address to receive our monthly E-newsletter, complete with helpful pet owner tips, and information on upcoming GCHS events and promotions!